Associate Professor at UPB-Medellín (Colombia), Literacies in Second Langauges Project Chair. Currently interested in proposing conceptual and pedagogical frameworks to apply key literacy concepts in second language learning and teaching. I began to read Bourdieu as a graduate student at the University of Illinois, first for a research study, then for one of my seminars, later for my MA thesis and I have been studying Bourdieu's work ever since. I have read Bourdieu through different scholars who've studied his work (Richard Jenkins, David Swartz, and Bernard Lahire being three really good references for Bourdieu afficionados who are beginning their jouney) and some of his original work both in English and French. If we think about media literacy as a critical reading not just of the media per se but the world that said media helps build, Bourdieu's work provides insighful moments to understand it. From the more literal media reflections (On Television) to the critiques of society (Distinction, The Field of Cultural Production, The Logic of Practice) and education (Homo Academicus, The State Nobility), Pierre Bourdieu invites readers to read between and beyond the lines. His framework of habitus, field (and counter-field), capital, and practice (and related concepts such as struggle and illusió) is a map to read society and defy (if one reads carefully enough, as pointed out in An Invitation to Reflexive Sociology) the traditional social constructs already in place. Bourdieu's idea of reflexivity has become a cornerstone of my work. As that idea that individual reflection must be ingrained in science and push for social change, reflexivity is a permanent look in the mirror about what we should (and sometimes must) do as scholars. Bourdieu's links to media literacy (and literacy at large, as great scholars such as David Albright, Allan Luke, Brian Street, or David Grenfell, to name a few) are also present in his discussion of language. Ideas such as symbolic violence and linguistic habitus are a constant reminder of the overt and covert power of language, that discourse is not to be taken lightly (especially crucial in the Era of Truthiness we live under), and that our choices of words make a world of difference. 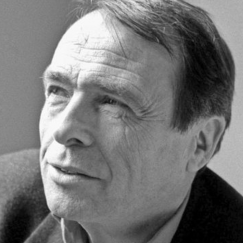 Bourdieu's work, to me, is a constant invitation to interrogate our words and our world, to question and critique the different messages that come to us, not to take for granted the intentions of those who send us messages on the media, and to always keep our eyes open for spaces to push for counter-messages. In fact, every time I return to Bourdieu's work, I find another piece of a puzzle about how to solve the riddles from "The Matrix."